I AM MY SISTER’S KEEPER TOO! I AM MY SISTER’S KEEPER TOO. I AM FEARFULLY AND WONDERFULLY MADE. I HAVE BEEN PLANTED IN THE EAST POINT/COLLEGE PARK ALUMNAE CHAPTER OF DELTA SIGMA THETA SORORITY, INCORPORATED. I WILL BLOOM WHERE I AM PLANTED. I WILL SOW SEEDS OF COMPASSION, COURTESY, DEDICATION, FELLOWSHIP, FIDELITY, HONESTY, JUSTICE, PURITY, AND TEMPERANCE. I WILL REAP A HARVEST OF THE SAME. I WALK IN THE FRUIT OF THE SPIRIT: LOVE, JOY, PEACE, LONGSUFFERING, GENTLENESS, GOODNESS, FAITHFULNESS, MEEKNESS, AND SELF-CONTROL. I WILL REAP A HARVEST OF THE SAME. I AM LOYAL, FAITHFUL TRUE IN HEART AND COMMITTED TO SERVE WITH A SPIRIT OF EXCELLENCE. I WILL NOT HARM MY SISTER’S OR THE BRAND OF DELTA SIGMA THETA SORORITY, INC. I HAVE FAVOR WITH GOD AND MAN. I AM A CHAMPION AND I AFFECT CHANGE EVERYWHERE I GO. I WILL RESPECT AND REPLICATE THE LEGACY OF OUR 22 FOUNDERS AND ENHANCE OUR GREAT FUTURE. GOD HAS MADE ME TO BE AN EXAMPLE THAT OTHERS WANT TO EMULATE. MY NAME IS ___________________________ AND I AM MY SISTER’S KEEPER TOO! WE ACKNOWLEDGE THAT SOMETIMES CHALLENGES, MISUNDERSTANDINGS, AND CONFUSION CAN CAUSE A RIFT IN RELATIONSHIPS. WE ADMIT THAT PAIN IS REAL AND WHEN ONE SISTER HURTS, WE ALL HURT. OUR COMMITMENT AND DEVOTION TO DELTA SIGMA THETA (DST) SORORITY, INC. CAUSES US TO LOVE AND LIVE PAST THE PAIN. WITH GOD’S HELP WE KNOW WE WILL MOVE BEYOND THE PAST PAIN. I FORGIVE MYSELF AND MY SISTERS. WE MAKE A DECISION TO DISCONTINUE ANY BEHAVIOR WHICH IS CONTRARY TO THE WORD OF GOD AND THE IDEAS & PRINCIPLES OF DST. WE WILL FORGET THOSE THINGS WHICH ARE BEHIND AND REACH FORTH TO THOSE THINGS WHICH ARE BEFORE US. WE REDEDICATE AND RECOMMIT OUR HEARTS, MINDS, AND SPIRITS TO DST AND TO EACH OTHER. 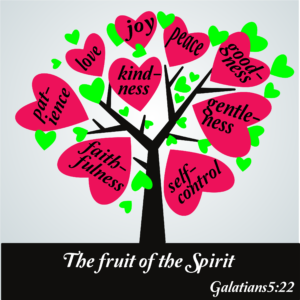 WE WALK IN THE FRUIT OF THE SPIRIT: LOVE, JOY, PEACE, LONGSUFFERING, GENTLENESS, GOODNESS, FAITHFULNESS, MEEKNESS, AND SELF-CONTROL. WE ARE STRONGER TOGETHER. WE CHOOSE TO BUILD ON OUR LEGACY, WHILE WE FOCUS ON OUR DESTINY. WE ARE TOO CLOSE TO OUR DESTINY TO TURN BACK NOW. GOD HELP US TO REMAIN FOCUSED AND FRUITFUL.